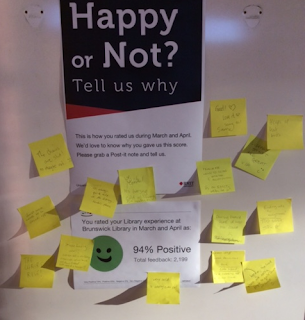 During the year you might have seen a Happy or Not feedback wall at your Library site. We asked you to grab a Post-It note and a pen and give us some feedback about the Library. We are committed to continuously improving the Library services and facilities we offer you. We regularly review opening hours and have significantly extended them in the last few years. 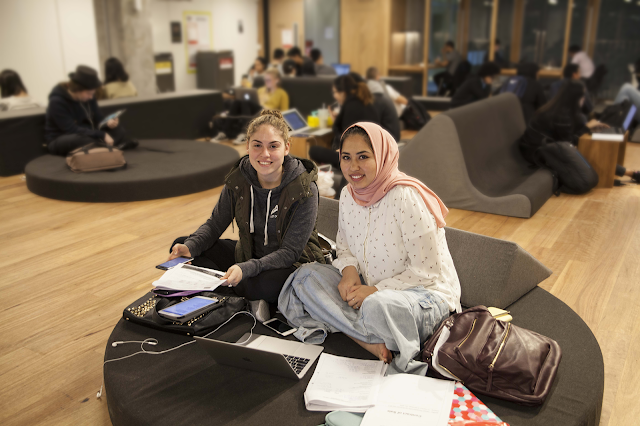 We have opened the new Swanston Library this year which has delivered world class study spaces including quiet areas, group rooms and flexible study spaces. To improve your access to computers in the Library you can book in advance. This also applies to study rooms. If there is a problem with noise, temperature, toilets or food you can report the problem to a Library staff member who will action it (often in conjunction with Property Services). Thanks for being involved with the Happy or Not feedback wall. Remember, anytime you have a comment about the Library please submit it. Easy Cite - referencing made easy!